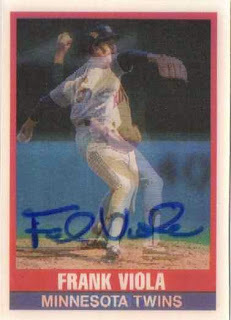 I got at least several cards signed by the 1988 American League Cy Young Award Winner when I was in Las Vegas at the end of April - Viola is the pitching coach for the New York Mets' AAA affiliate. One of the cards I got signed was a 1989 Sportflics card - because of the lenticular surface, I used to think it was harder for someone to sign them and/or sign them in a way where the autograph won't smear into the card. 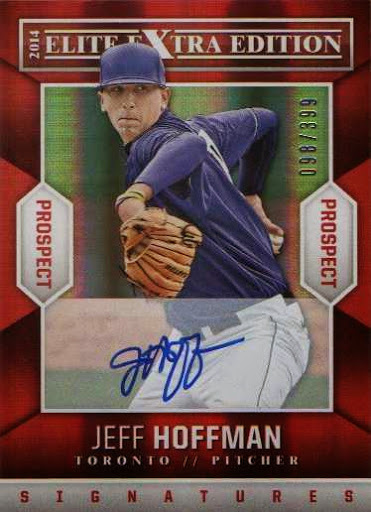 However, for anyone who still have these random cards in hand and can get them signed either in-person or through the mail - the cards can actually be inked up and can hold an autograph in a presentable way, just like other trading cards from the last 25-30 years. I was digging around my LCS and found some old Topps Magazines - I was tempted to pick at least a couple up since I remember picking up the first issue as a kid and liked the idea of an all-color magazine devoted to sports cards; there was a period of time where the only places I really got my collecting magazines was through supermarkets and I had to go into an actual card shop for a Beckett Baseball Card Montly magazine. As a beginning collector with relatively little to spend, it was intimidating making my way inside a card shop every month a new Beckett would pop up, so the only magazine I was reading on a regular basis was Baseball Cards Magazine - I suppose Topps Magazine provided another alternative, which probably made spending time browsing the magazine rack at the supermarket that much easier while tagging along on shopping trips. Like Baseball Cards Magazine, there were cards inserted into the magazine though I probably thought the cards were not 'real' because the card stock was a little different, even from the Baseball Card Magazine inserts - and it was impossible to remove the cards from the magazine [without the cards looking like garbage]. 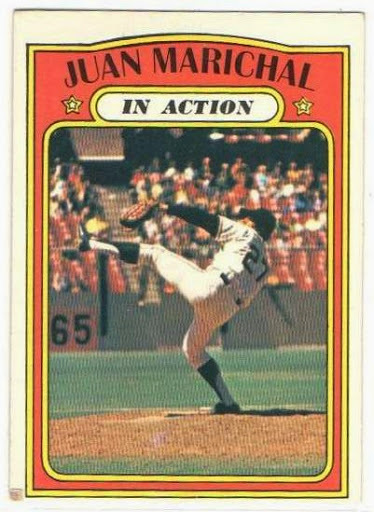 The cards in the Topps magazine were perforated, but the best I could do was try and tear the panels apart like they were monkey bread - the cards always were torn up. It was fun scanning through the story and realize this was probably something I read at some point - to serve as inspiration to collect in unique, if unconventional ways. At my LCS there are a few 'newer' shoe storage boxes on display featuring old school / vintage 'beaters' for a buck each - I go through them because the cards were probably part of someone's collection and maybe I can pick up some cards representing cardboard relics of the past. The cards are kind of a cheap thrill to have in my hand since they were printed more than 40 years ago - even if the cards are merely worth what I paid for them. The most heralded prospect coming into the season, Bryant has played 14 games and had 50 at-bats in the Major Leagues so far, so noting the small sample size - it's interesting that he hasn't hit a Major League home run and despite his gaudy on-base percentage, his numbers so far have been fairly quiet. On the other hand, I'll be waiting for the headlines when he really starts figuring things out - maybe because many top prospects are hyped up, it's almost surprising when they don't start off their MLB careers like Albert Pujols. 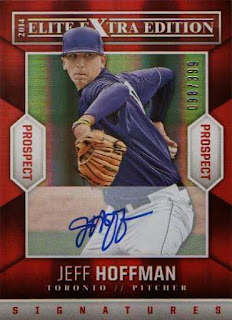 I got this card in the mail from Panini after about six weeks or so after I put the redemption code on their Web site - it's not a bad looking card with an on-card autograph, though it's not the most exciting thing to look at. I actually have one more pending EEE autograph redemption left on Panini's Web site, though that was from a 2013 EEE blaster break and my redemption has been in the system since early in 2014 - at this point, I don't know if I'll ever get that card.